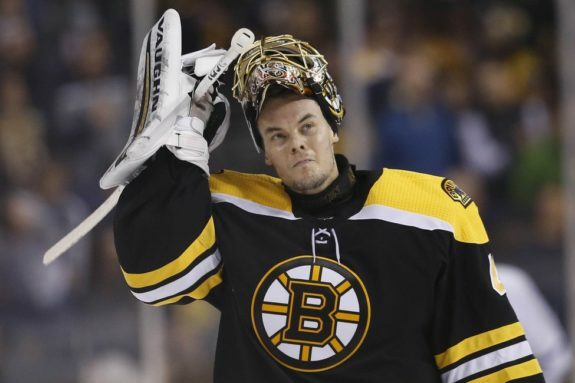 There’s simply no player more polarizing in recent Boston Bruins’ history than Tuukka Rask. For fans of any of the other 30 teams in the NHL, that may not seem correct. As far as the rest of the league is concerned, players like Brad Marchand, Milan Lucic, among others, have been lightning rods for criticism despite their importance to the Bruins each and every game. Still, there’s no discussion that’s created a bigger divide among Bruins’ fans themselves than the one surrounding Rask. Though the Finnish netminder started his career hot and appeared to be a clear-cut elite goaltender who could compete for Vezina Trophy’s each and every season, his inconsistent play from game-to-game and seemingly save-to-save has made him such a hot topic of discussion. For some in the fan base, Rask still has the potential to be a Stanley Cup-winning goalie. For others, though, there is no chance of the Bruins winning a Championship with Rask in net. Is Rask a Good or a Bad Goalie? In all reality, the truth lies somewhere closer to the middle. Rask is a good goalie though he may not be great due simply to that lack of consistency. At the very least, he’s certainly not bad. 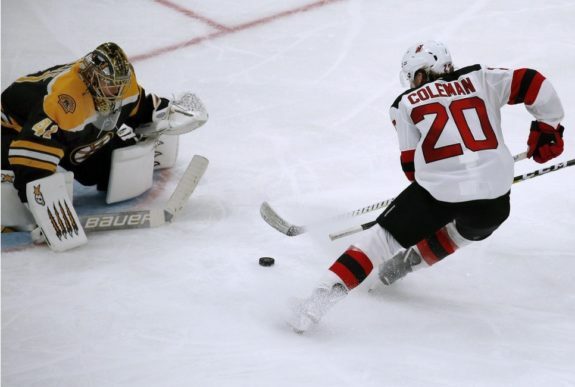 Having said that, he’s also likely not a goalie who will backstop a team to a series of 1-0 wins in the postseason when the offense runs dry at this point in his career. 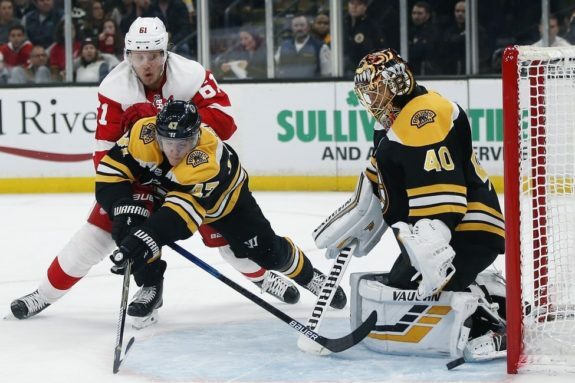 In that regard, losing a 1-0 game should fall on the shoulders of the offense (though there’s also probably some credit that should be paid to the opposing netminder and defenders) rather than blaming Rask for not making the one (and only) save that would have extended the game. That may seem like an extreme hypothetical but it’s only used because the disdain for Rask has reached a level that’s made even 1-0 or 2-1 losses his fault in the eyes of some. If everybody can simply agree that Rask isn’t an elite goaltender but has the potential to play elite games for certain stretches, then the discussion can normalize. That seems impossible at this point, however. It’s easy to be jaded or annoyed when things don’t go perfectly. That’s the nature of being a fan of Boston sports teams given the success that the city has seen over the last two decades (not to mention the decades of success in the past by the Boston Celtics alone). Still, the Bruins are closer to a contending team now than they are to being a lottery team and they’re doing so despite a number of injuries that seemed destined to derail their season for good. A big part of the Bruins success this season has come as a result of the team featuring arguably the best goaltending tandem in the entire league. Rask deserves some of that credit, even if he isn’t the savior that many want him to be. What’s perhaps most peculiar about the discussion surrounding Rask is the pure ignorance to what he’s accomplished as a goalie in Boston. There’s often the thought that he’s overpaid and that the Bruins would be better off with a different goalie. Whether or not that’s true will never be known as we can’t change the past. What we can do, however, is look at where Rask ranks among his peers to get an idea of how much better he’s been than people give credit him credit for. In terms of goals-against average, no active goalie in the NHL is better. Rask reigns supreme in that category with an impressive 2.26 goals-against average in 471 games. The next-best goals-against average is 2.30 held by Jonathan Quick. When transitioning to save-percentage, Rask ranks second behind only John Gibson of the Anaheim Ducks. How far ahead is Gibson than Rask, you may ask? Well, Gibson leads the way with a .923 save percentage in his career. Rask is second with a .922 save percentage. For wins, Rask ranks 10th with 250. 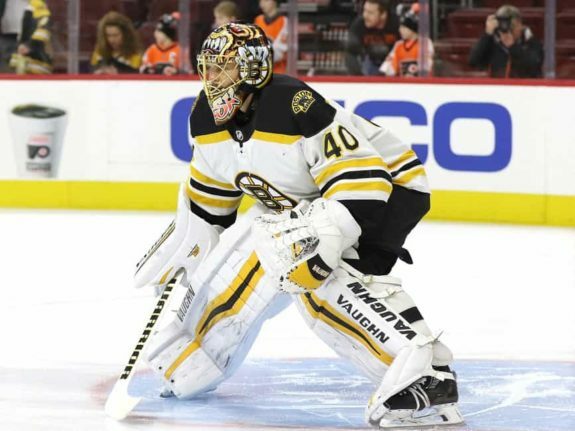 Though there are nine goalies ahead of him, Rask actually sits in fourth in win-percentage behind only Marc-Andre Fleury, Henrik Lundqvist and Pekka Rinne among the top-10 goalies in wins. Admittedly, he does also rank 10th in winning percentage among all active goaltenders with at least 200 games played. Though Rask isn’t quite appreciated now, his place in Bruins history is still something that will not be erased given where he ranks in every single goaltending category in Bruins history. Following Rask’s 25-save shutout against the Minnesota Wild on Tuesday, Rask found himself ranked in the top four of every single goalie category, ranking at No. 1 or No. 2 in many. While Rask ranks near or at the top in every single goaltending statistic in Bruins’ history, he’s nearing the top in one category that will cement his name in franchise history (though really, it should already be chiseled in stone). Rask currently sits in second place in the Bruins’ all-time win leaders among goalies with 250 wins in his career. That number alone is impressive and should be acknowledged for what it is. Even more impressive is the fact that with just two more wins, Rask will tie Cecil “Tiny” Thompson for the most wins in Bruins history. With three, he’ll hold the record by himself. While wins are ultimately a team stat, the idea that Rask can’t steal a game or that the team wins in spite of him rather than because of him is dated and will almost certainly fade away over time as Rask’s name will remain cemented in history. Even those who are most against Rask will have to find it in their hearts to at least respect what he’s accomplished. Whether they like him or not, he’s an all-time Bruins’ great at his position.